If you have prediabetes or are aware that you have a predisposition for	diabetes, you should take the time to educate yourself about self-management	and prevention. Education is a critical part of caring for yourself and	taking measures against developing diabetes. Preventing or delaying these	complications may be easier than you think. Here at	Reddy Cardiac Wellness, we offer a number of resources for the prevention of diabetes. Whether you need to make a current lifestyle change or maintain your current	healthy lifestyle, we are here to help. If you would like to learn more, please	contact our Sugar Land diabetes center at (281) 491-0044! There is a correlation between hemoglobin A1c levels and average blood	sugar levels. Use this chart to find your average blood glucose when you	know your HgbA1c. 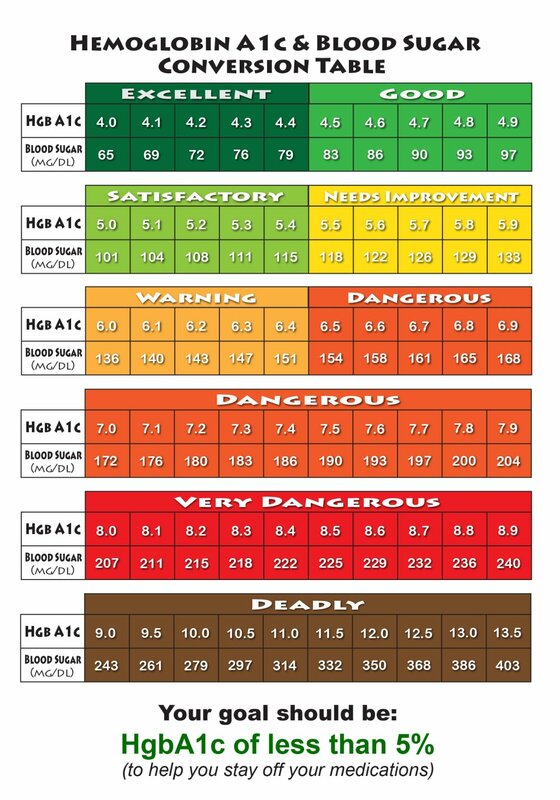 The chart is specially color-coded so you can easily	interpret your level of health based on your hemoglobin A1c. If you check	your glucose levels several times per day, you can also use this chart	to predict your HgbA1c for the next three to four months.